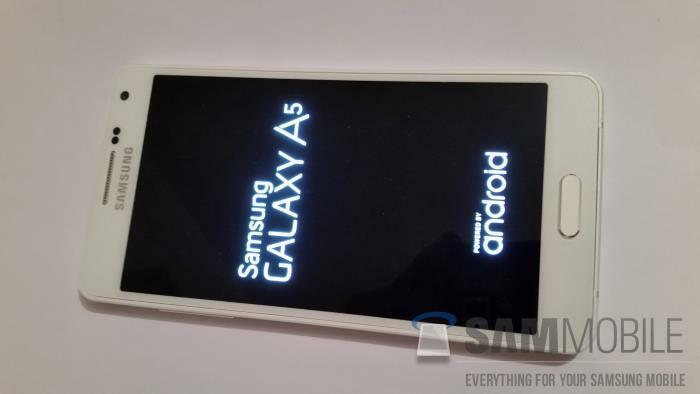 We recently saw a leaked photos and some specifications on the new Samsung Galaxy A5, and now we have more details on the Samsung Galaxy A3 and also the Galaxy A7. The news comes from Sammobile, who have received some pricing information on the three handsets from one of their sources, the Samsung Galaxy A3 will apparently retail for around $350 to $400. With regards to the two other handsets in the new Galaxy A series range, the Samsung Galaxy A5 will apparently cost between $400 and $450 and the Samsung Galaxy A7 will cost between $450 and $500. It appears that the launch of the Samsung Galaxy A7 will be limited to certain countries, the other two handsets are expected to be launched worldwide. We previously heard that the new Samsung Galaxy A5 would come with a 5 inch HD display with a resolution of 1280 x 720 pixels, the device will be powered by a quad core Snapdragon 400 processor. Other specifications on the Samsung Galaxy A5 will include 2GB of RAM, 16GB of storage, and a microSD card slot, plus a 5 megapixel front camera and a 13 megapixel rear camera. As yet we do not have any specifications on the Galaxy A3 or Galaxy A7, what we do know is that all three devices will come with Android 4.4.4 KitKat.